Follow Corey on a journey that begins with problems caused by his color confusion. 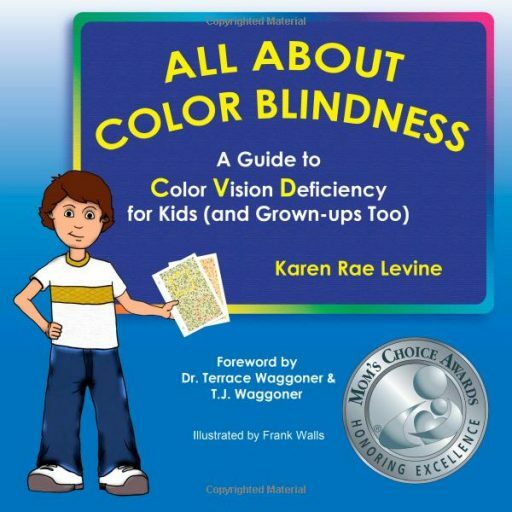 Corey learns about Color Vision Deficiency (CVD) and keeps a positive attitude. Along the way, his family, teachers and friends help by understanding the special way Corey sees colors. Corey’s story is followed by a simple explanation of CVD–what it is, how many people have it, how they got it, the kind of problems it might cause and suggestions about how to deal with CVD at home, at school and everywhere you go. The book received the MOM’S CHOICE AWARD, Next Generation Indie Book Award, and National Indie Excellence Book Award. Exuberant redhead Erik always tries his best, but he just can’t understand why he’s missing homework questions at school and messing up at soccer practice. 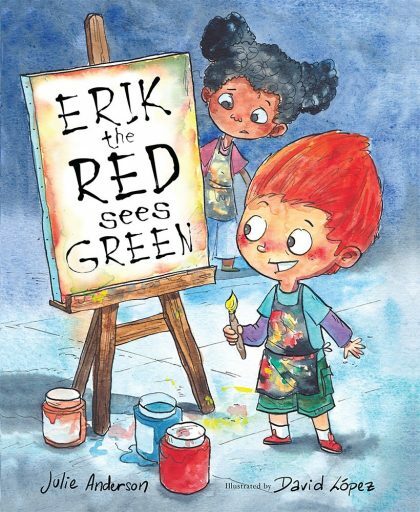 Then one day in art class everyone notices that Erik’s painted a picture of himself with green hair! It turns out he’s not just creative, he’s color blind, too. The tendency to color-code learning materials in classrooms can make it especially hard for kids with CVD. But once Erik is diagnosed, he and his parents, teachers, coach, and classmates figure out solutions that work with his unique way of seeing, and soon he’s back on track. 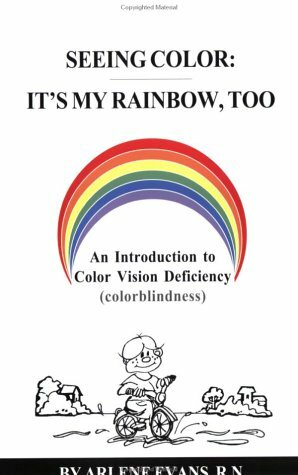 Seeing Color: It’s My Rainbow, Too is a book for children on the subject of color vision deficiency (CVD), commonly called “colorblindness”. Designed for the 9-12 year old, the book contains valuable information for older children and can be read to and discussed with younger children. 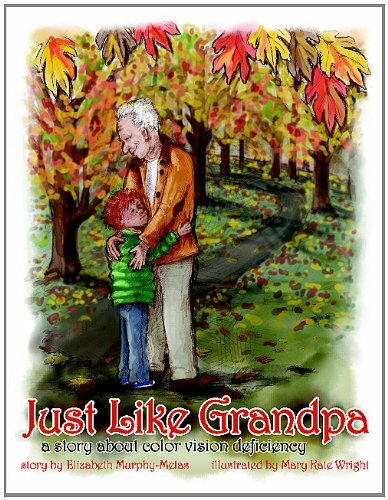 Just Like Grandpa: A Story about Color Vision Deficiency explains the reason for color blindness with illustrations and medical terminology and provides some easy to use coping skills and resources.